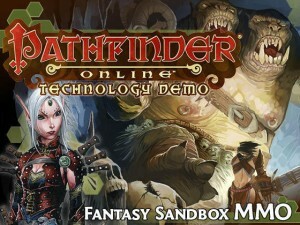 It’s very humbling to be part of a project as exciting as Pathfinder Online. The community Paizo has built is incredibly strong, and it’s great to see the reaction to our Kickstarter project. Fully funded in less than a day is fantastic – especially considering that we are starting by funding a demo. I think the biggest lesson here is that Paizo has struck on the proper way to do business in the digital age. Let your customers into product development in a real way, don’t be afraid to show them exactly what is going on, and trust them to help you polish and expand on your ideas. It’s the way we want to build the entire product of Pathfinder Online. It’s going to be a wonderful adventure.